"You're living proof of what happens when first cousins marry" was the calculated insult delivered by wrestler Jim Ross to Phinneas Godwinn. The Welsh poet (and clergyman) RS Thomas once wrote of "an impotent people, sick with inbreeding." In dog- breeding circles however, no-one would ever dream of insulting another breeder's stock with an accusation that a first cousin mating might lead to unfortunate progeny or even impotence. Cousin to cousin marriages have caused concern in some human communities. Haemophilia in European royal families has been attributed to close breeding within royal households, the matching of relatives often done for political inheritance purposes. 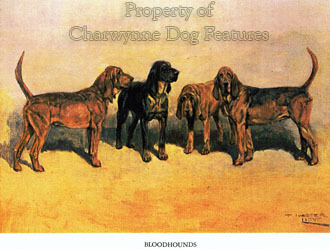 Since the end of the 19th century however, breeding within a closed gene pool has been the rule in nearly every breed of dog. The long-term results of this are now manifesting themselves. Swedish pedigree dogs of 60 breeds had an average in-breeding coefficient of 14%. Why do breeders of production animals seek healthier animals than dog-breeders? The Germans have a word for reckless breeding leading to discomfort, disease and a shorter life for the pedigree dog. It is 'qualzucht', cruelty breeding, or more literally, 'torture breeding'. When a geneticist, himself in Boxers, finds it necessary to pose the question: Are there any Boxers that are truly free of heart murmurs? we have much to think about. He himself was brave to outcross for the naturally docked tail -and why not? Reckless breeding by breeders of pedigree dogs is now attracting the attention of legislators. 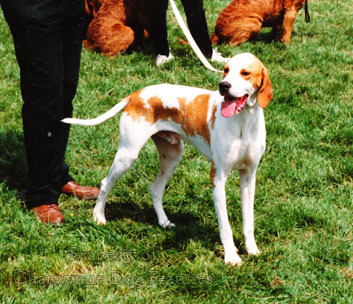 In Australia, The State Legislature of Victoria, in their Prevention of Cruelty to Animals Act of 1986, have recently introduced an amendment which creates an offence described as 'A person must not, intentionally or recklessly, allow an animal with a heritable defect to breed...' Its application may test the legal system but it represents a shot across the bows of those dog-breeders who conduct risky breeding programmes with stock in which known carriers have been identified. Breeders with their breed's interests at heart avoid such risks; breeders seeking to fatten their wallets could now be at risk themselves. The Alaskan Malamute Club of the United States reduced dwarfism in their breed to zero through their breeding disciplines. In the USA too, the water storage problem in Portuguese Water Dogs was dramatically reduced by planned breeding programmes. It can be done! Breeder cooperation is essential in reducing the incidence of inheritable defects in dogs. Yet, in 2005, 248 litters of Akitas were registered with the KC, but only 58 dogs were eye- tested in that year. 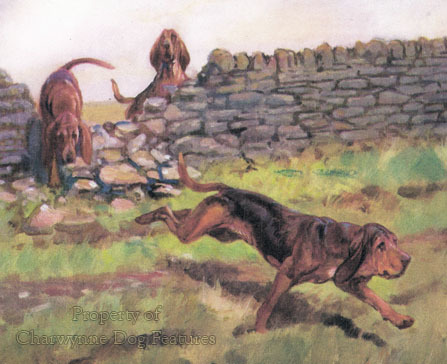 Very few Bloodhounds and Clumber Spaniels have been hip-scored; the latter has a mean score of 40 for the breed, dangerously high. There are more than 50 different health concerns in the Dachshund and this breed is not alone in this respect. But when the KC tried to conduct a health survey in each recognised breed, the response rate was truly pathetic. In one breed, 890 proformae were distributed but only 3 returned. This is rather more than breeder-apathy; this is an affront to dog welfare. Geneticists, veterinary surgeons and medical scientists, in various countries, now agree that the high incidence of hereditary diseases in a number of breeds of dog is due to continuous inbreeding, without due regard to culling or testing for such diseases. It is distressing when breed fanciers knowingly overlook hereditary problems in their breed, perhaps hoping they'll go away. Sadly, within a closed gene pool, they are more likely to worsen. 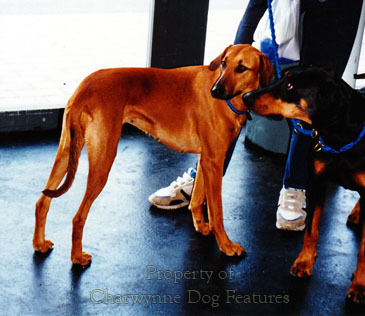 Cardiomyopathy in Dobermanns is common in England, North America and Australia. Dobermann breeders will talk about minor diseases in their breed but not about cardiomyopathy, Von Willebrand's or Wobbler's Syndrome. 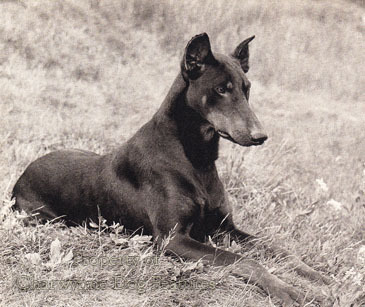 In 1992, in the University of Melbourne, samples from 25 clinically normal Dobermanns showed 50-75% with diseased heart function and 16% displayed arrythmia, the early signs of the disease. In 1986, around 18,000 Dobermanns died of cardiomyopathy in the USA, the total representing just the reported cases. Studies in Canada showed that the breed of Dobermann is predisposed to the development of dilated cardiomyopathy. The breed of Dobermann started from a relatively tiny genetic base. A leading British geneticist, himself a dog-breeder, has written: 'To outbreed (outcross) to produce a reduction in inherited defects is, in my view, a wasteful policy since a reduction in defects without a corresponding advance in type/character etc is a pointless exercise.' For me, if such 'a pointless exercise' produces a healthier breed, able to live a longer fuller life, I would be prepared to sacrifice a little type, a small change in character. 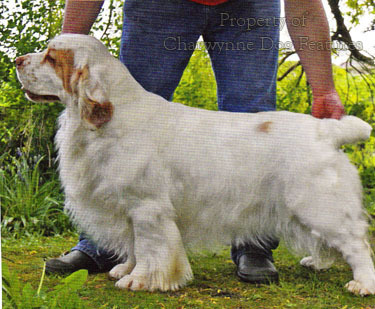 Is pedigree dog breeding about improvement or reproducing sickly animals which merely look like their ancestors?